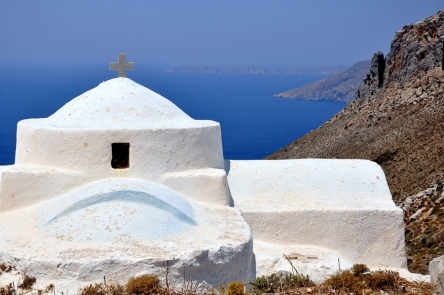 Shaped like a butterfly, the lovely island of Astypalaia is the most westerly of the Dodecanese and largely unspoilt. 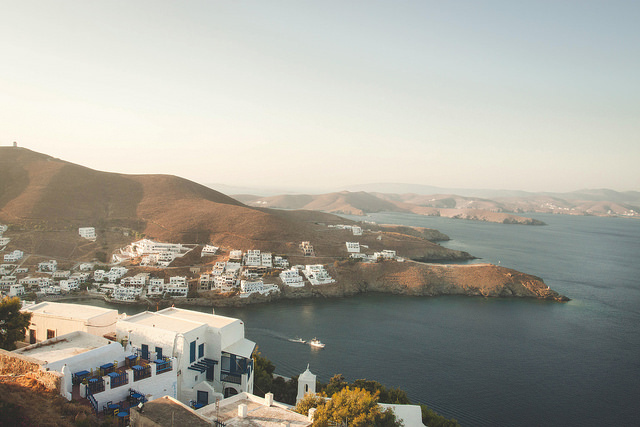 It could just as easily be one of the Cycladic islands with its tumble of white-washed houses on the slopes below its excellent Venetian castle, and a string of windmills silhouetted against the sky. Astypalaia is a hilly island with lots of good beaches, its peculiar shape giving it much more coastline than other islands of similar size. The main town gets busy in summer but there are still numerous quiet retreats to be found. The original town of Chora built up on the top of the hill where the castle now stands on the site of what was the acropolis. The castle came in the 14th century and is remarkably well-preserved, with two 14th-century churches incorporated into the walls, houses also built into the walls for protection, an art collection and stunning views over the Aegean. There are the ruins of a Byzantine castle on the west coast at Agios Ioannis, where there is also an excellent beach and something of a rarity in the Greek islands: a waterfall. Also on this western ‘wing’ of the island is Astypalaia’s main resort, Livadi, but even this has far fewer visitors than comparable resorts on more popular islands. 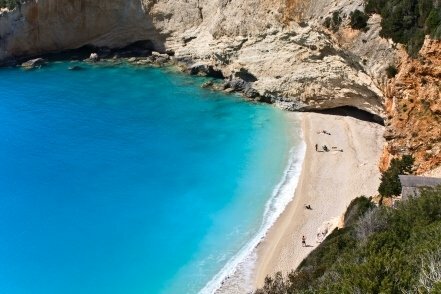 It is easily reached on foot from Chora, and if you wish to cast your clothes to the wind you can carry on a little further to Tzanaki, where there is an unofficial nudist beach. Heading east from Chora the road crosses the narrow neck that links the two halves of the island, with the sea on both sides visible at the same time. Just beyond is this region’s main resort, Analipsi, also known by its earlier name of Maltezana. It is still relatively quiet, but increasing in size and popularity. At the very northern tip of this eastern ‘wing’ are the caves of Drakospilia, only accessible by boat and not yet an ‘official’ tourist attraction, which indicates the fairly unspoilt nature still of Astypalaia. Astypalaia has a small airport but with no international flights. The best way to get there is to fly to nearby Kos and take a ferry to Astypalaia. There are domestic flights to the island with Olympic Air from Athens, Kos, Leros and Rhodes. 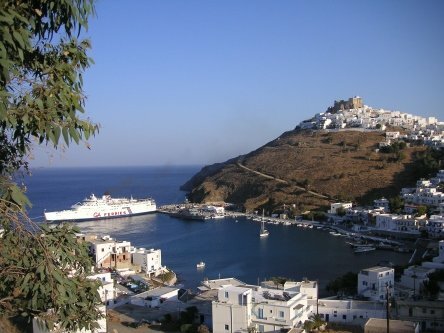 There are ferry connections to Astypalaia from Athens (Piraeus) and from islands including Kalymnos, Kos, Naxos, Paros, Rhodes and Tilos. There are four ferries a week between Athens and Astypalaia with a journey time of 9-10 hours.